HAMPSHIRE, UNITED KINGDOM--(Marketwired - October 03, 2016) - A new study from Juniper Research has found that the value of domestic money transfers, including operator money and social media money services, will reach $520 billion in mobile transactions by 2018, up nearly 200% from an estimated $178 billion last year. Typically P2P (person to person) domestic transfers show higher usage in developing markets, including M-Pesa, Airtel Money, Orange Money and MTN Mobile Money, supplemented by users making social transfers in developed markets via services such as Venmo and WeChat. However, the bulk of activity is currently occurring via WeChat and Alipay within China, with growth fostered by 'red envelope' promotions at the Lunar New Year. The research argued that over-regulation continues to be a key inhibitor in the licensing process for mobile money services. "This can be complex, both in terms of the number and nature of licences that are required by service providers. Additionally, the services which the national government (often via its central bank) will permit a service provider to offer vary significantly", report author Nitin Bhas added. In some markets, regulations for mobile money transfer may simply not have been defined, or may be in the process of being defined and then applied retrospectively. Furthermore, existing rules may stipulate that only financial institutions may possess money licences, thereby inhibiting the opportunity for players such as MNO (Mobile Network Operators). In 2015, Africa & Middle East had 235m registered mobile money users, representing the largest share of the global market. 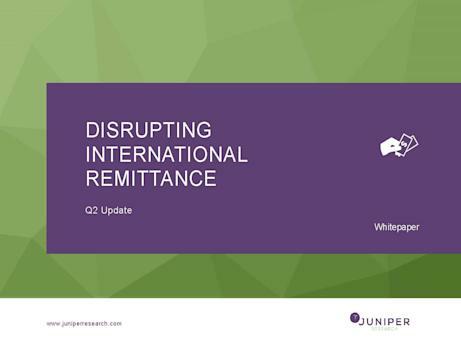 International remittances via mobile will exceed $25bn by 2018, driven by higher value mobile transactions. 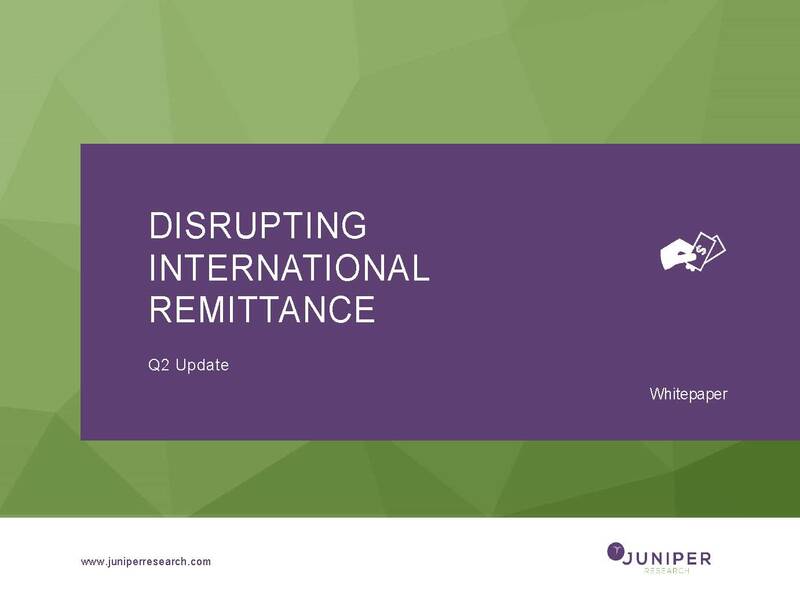 The new whitepaper, 'Disrupting International Remittance' is available to download from the Juniper website together with further details of the full research.